Businesswoman Fiti Leung Wai is not losing hope when it comes to dealing with the growing problem of young children selling goods on the streets in Samoa. 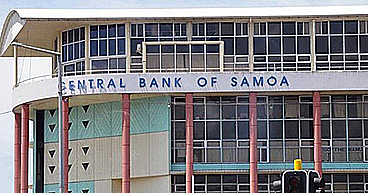 Contrary to reports highlighting their bad behaviour, the owner of Samoa Stationery and Books (SSAB), strongly believes everyone has a role to play to turn things around. For her, it’s about promoting the values of education among the community as a means for young children to work towards a brighter future. One that will see them get excited about educational achievements and opportunities rather than being brought up to accept mediocrity. 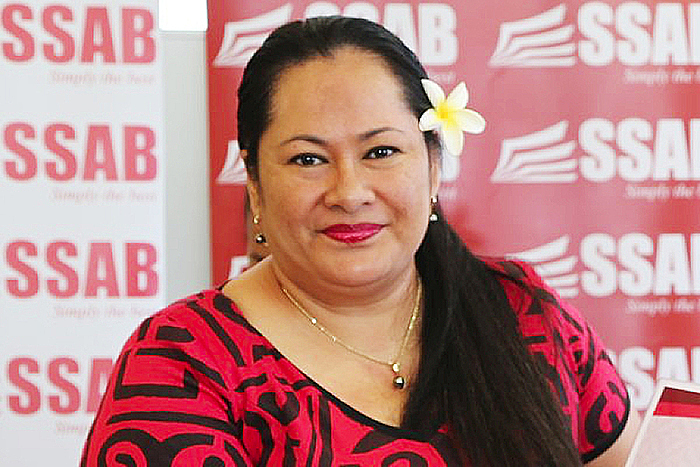 Speaking to the Sunday Samoan, Mrs. Leung Wai, who is the Chief Executive Officer of SSAB, said she understands the frustrations many members of the public have about the vendors. “One day me and my kids went to McDonald’s Drive-thru and some of these kids came up to me asking for money,” she recalls. “I usually give them money but on that day, I was very tired and they came and asked me for money. I gave one of them $5 and then another came and asked for money and I said to them there’s no more money but they insisted." “So one of my sons wound down the window and told them to go away but they swore at him and this made me really angry." Mrs. Leung Wai said such behaviour has become very typical with many vendors. But it’s not the first time she has been a victim. 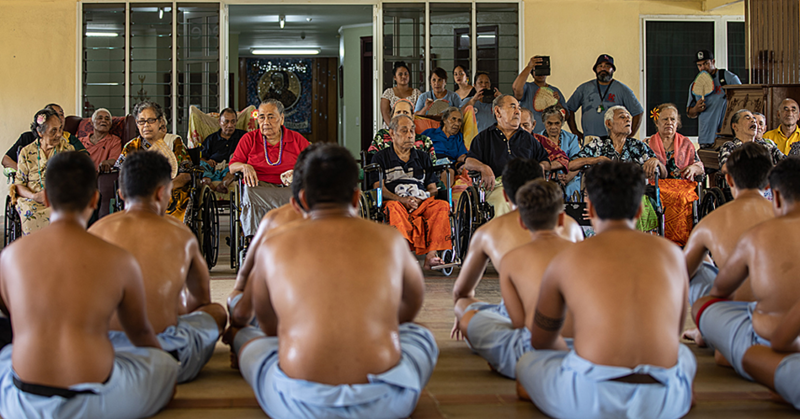 “For example right from the beginning when I used to have my shop at Lotemau, some of the kids stole stuff from the shop and went and resold them,” she said. Asked what she believes is the key to addressing the issue, Mrs. Leung Wai was adamant that it’s education. “Education is the key and it is a human right. Every child is entitled to a good education,” she said. Mrs. Leung Wai said it’s not the children who should be selling this stuff, it’s the parents. “The parents are responsible for making sure the kids gets a good education,” she sad. The mother of four went on to say that if she were to have a choice there wouldn’t be any street vendors. “But I think there is a need in some families financially so it’s really hard,” she said. “I think our Prime Minister used to sell things to make it through life so I can’t really say no, no, no not knowing the inside of the true struggles of other families financially." “So sometimes there is a need for kids to sell but if I were to be given a choice it would be good to actually stop all that and just let them have rest and continue studying. She believes this is where the S.S.A.B Ambassadors programme comes in. One of the Ambassadors is Quenjule Slaven who runs a programme to help street vendors read and write. “I admire her effort to help the street vendors but I’m also happy to help in the sense that we now have a library and welcome her to use our S.S.A.B library to provide that nice environment for kids to learn,” she said. Lastly Mrs. Leung Wai reinforced the need for parents to take care of their children. What about charging parents whose children are found on the streets late at night? 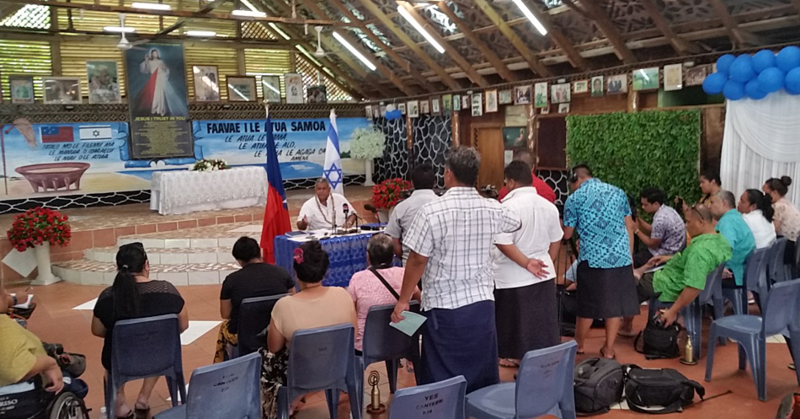 “I don’t think that would be a good idea because that would be very hard to enforce,” she told the Sunday Samoan. “We also have to have practical laws but I believe every member of the public that comes across these street vendors should try and educate and help them."